class="post-template-default single single-post postid-378966 single-format-standard custom-background group-blog header-image full-width singular wpb-js-composer js-comp-ver-5.7 vc_responsive"
Cozad-Gothenburg native Jeremy Yilk will be the next Activities Director and Assistant High School Principal at Cozad High School. Yilk has spent the last 14 years as a teacher and a coach in the McCook school system. The last seven seasons he was the head boys basketball coach of the Bison. He spoke with KRVN’s Jayson Jorgensen today about this move back to Dawson County. Click here to listen. Yilk graduated from Gothenburg in 2000 and is a graduate of UNK. 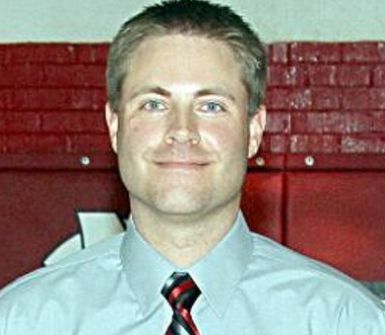 He replaces Jordan Cudney who left this spring to become the new Activities Director at North Platte high school.